Habitat for Humanity Mission Statement Habitat for Humanity of Washington and Dodge Counties is an ecumenical Christian housing ministry, building and repairing simple, quality, affordable homes in partnership with the community and those in need. We also run The Habitat ReStore, the "Store that Builds Homes!" We are primarily volunteer run and offer the community a great place to get involved with Habitat for Humanity without working on a home build site. ReStores act as the fundraising branch of our Habitat for Humanity affiliate, accepting donations of new and used building materials and home supplies from the public. We resell the donations to the public for a fraction of their market value! All funds raised go directly back into the Washington and Dodge County communities to build homes for families in need of a hand up! 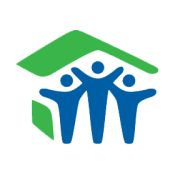 Would you recommend Habitat for Humanity of Washington and Dodge County?